As mentioned in the previous article how woeful a waxing session could be. In this current article I would be mentioning all the tricks and tips of preventing your fragile skin from the agonizing side effects of waxing. No longer will waxing be a painful experience for women. If you meticulously follow all the tips mentioned in this article and educate yourself adequately in keeping the adverse effects of waxing at bay, you could get a non-painful waxing along with keeping your skin supple and fresh! So to know more keep reading further with the must-know tips which could be useful to every woman! Go for wax which is made up of natural ingredients instead of the artificial ones. 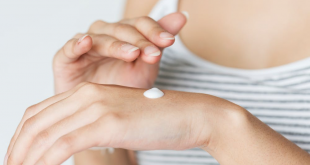 Artificial ingredients usually trigger an allergic reaction to the skin which is delicate in nature. If you are preparing to wax yourself at home, apply powder on your skin if you are waxing using a soft wax. If you wax with a hard wax then apply oil instead of powder. These agents (oil or powder) usually act as a shield so that the wax attaches to the hair instead of the skin thus reducing the redness. Correct technique should be implemented while waxing yourself. You should hold your skin tight while pulling out the hair so that the skin isn’t tugged at much. 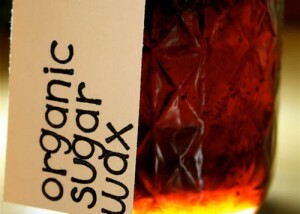 Buy wax which is made for sensitive skin types. Take care not to wax more than twice over the same area because it causes the skin to be become more reddened and might break the skin as well. Soothe you inflamed skin by applying aloe vera gel post-waxing. This tends to give a calming and soothing effect to the otherwise inflamed skin. If waxing is too painful for you, go for other methods such as threading or sugaring which is much easier than waxing and removes the hair from skin with ease as well. Before commencing with waxing, cleanse your skin well with a good cleanser so that the dead skin would be completely removed. You can also exfoliate your skin using a good homemade scrub. Prohibit from dipping the same waxing stick you have been previously using to prevent introduction of bacteria in your pot of wax. After waxing, apply cleanser once again to give a soothing effect to your painful skin. Stop yourself from touching your soft skin after waxing so that you do not put bacteria or oil on your freshly waxed skin. If you have got your legs waxed, do not go for pedicures or sauna for at least three days. Avoid wearing clothes which are tight and uncomfortable for few days at least. If you are not successful in avoiding the pimples and hence get it, restrain yourself from popping it as it may result in spreading of bacteria and thus propping up of more pimples. When you are waxing at home, follow all the steps meticulously to get the waxing done without any hassles. If you prep your skin properly post-waxing, you would successfully remove the entire hair out of the skin instead of breaking it midway. Exfoliate your waxed skin before as well as after each and every waxing session to remove the dead cells as well as to make sure that the hair remains pointy instead of retreating back into your skin. You can now dull your nerves by applying a numbing cream available in the market nowadays! Just get this cream, apply it on the area you wish to wax and you wouldn’t feel the pain at all! You can also take aspirin few minutes before waxing. Avoid smoking and reduce your caffeine intake in order to avoid pain during waxing. These products usually increase acidity level in your body and hence increasing the sensitivity of your skin. Do not apply astringent as they make your pores tighter and hence make it difficult to remove the hair follicle completely from the skin. When you wax at home instead of a spa, hold your skin very tight while pulling the hair out of your skin using a waxing strip. Ask someone to hold your skin tight while you are pulling the hair out. Make sure that you apply correct amount of wax on your skin or else it would require additional force in order to remove the extra wax and hence would result in bruising. Now that you are armed with the necessary antidotes to woeful waxing, use them to get perfect skin in a non-painful way!